As the mobile phones get more and more fame, a lot of people start to abandon their landline and choose mobile phones instead. Despite of that, the usage of home phones can be still be found everywhere. Yes, the landline is not dead yet. It’s still very much alive and kicking. There are several reasons why the home phones stay alive until now and why some people still want it. There are still plenty of homes utilizing home phones and many of them choose the cordless phone system. There is still plenty of options available waiting to be discovered. The home phones are needed for a variety of advantages such as enhanced security that will be connected to emergency 911. A phone is connected to the address of its owner and the 911 operator can easily send help to the right direction. Another thing great about the home phone system is for home security system. In general home security system installation requires home phone system. Cordless phone system can be used to be connected to the variety of home security system such as the burglar alarm system or a system to monitor fire. When finally the cordless phone system is chosen, the next thing comes will be preparing the phone. There are various phones can be found with a variety sets of features. The cordless phones are usually differed by checking the built-in answering machine. For the ones with built-in answering machine, the sizes will be slightly larger and the prices will be slightly higher. 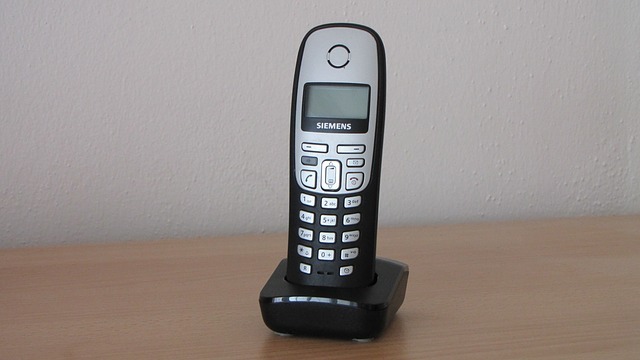 Another thing that can make a difference in cordless phones with one another is the base. Some have cordless base while some have corded base. For cordless base, it’s important to have backup batteries. As for corded base, it’s more convenient to be used as long as it’s connected to landline. When choosing a phone for the cordless phone system; there will be a variety of features can be added into consideration. The standard cordless phones usually have handset ringer, flash button to pick up call waiting, last number redial, volume control of headset earpiece, pager to easily locate the handset and the indicator for low battery status. In addition of the standard features mentioned earlier, there are also other features worthy of considerations. • Speakerphone to easily answer phone calls without handset. • LCD Screen on handset and phone base to display personal phone directory and the other useful information like caller ID. • Caller ID is an obvious beneficial feature as it’s possible to know the caller. Some phones have the capability to set different ring tones for different call IDs. There is also a feature called caller ID announce that will allow the phone to pronounce the caller ID so there’s no need to check the caller ID directly. • Battery Backup as an emergency source of power. • Mailboxes are important especially for the phones with answering machines or answerers. Some of answerers have some mailboxes. This is convenient especially when caller wishes to leave a message for specific person. • Controls for Advanced Playback come in conjunction with the answerer and the mailboxes. The advanced playback allows users to skip messages back and forth and then repeat the same message. It also allows users to get fast playback to listen to messages quickly or even slowing down the messages to listen carefully. • Headset Jack for the more convenient of answering phone calls while doing other things. • Multiple Handsets will be useful to allow a conversation in an intercom mode between two handsets. In this mode, the handsets will naturally need to be in range with one another. Some phones are capable of registering and connecting 12 handsets albeit it’s impossible to use all of them at once (only two at once etc.). • Two-Line Support to be capable of receiving two phone calls simultaneously allowing three people to be connected at once. Some phones even have two different ringers. • Base Keypad as a supplement to the keypad on handset. It’s very useful for menu navigation. Some phones even have the keys to light up in the dark or when a key is pressed. • Auto Call Answer is useful to answer incoming phone calls automatically (when handset is lifted off) without the need to press a button to answer it. Now, it’s time to choose the best phone for the cordless phone system. As there are so many options out there, it will be wiser to take time to properly choose. Follow the following tips to get the true best phone to be used at home. • Know the number of extensions. For smaller homes, a phone with single handset will be good. For larger home, phone with multiple handsets can be considered. • Know the features. Take a look again at the list of features mentioned earlier here. Check them and see what kind of features expected from the phone. • Try the Handset. If possible, trying is a good thing. Try to hold the handset and figure if it will fit the facial contours. The earpiece needs to get proper checking as well. It must have round edges and the recessed center that will fit the ear perfectly. Also check buttons and controls and see if they have good sizes and legible. • Usability Issues. With cordless phone system or any other phone system at home, there will be multiple users. Every individual has different conditions and sometimes need assistance. For example, a phone that buttons those easier to read will help users with rather poor eyesight. • Battery Backup. This is a real good feature to be had. Most of the cordless phones in cordless phone system won’t work without electricity. When power outages happen, this feature will help the phone to keep on operable in case that emergency happens. It’s a super important feature to be considered. Below is a list of cordless phone information that can purchase as your needed. We obtained this information from online stores such as amazon.com, click on amazon.com for pricing information if not available here and the latest price update.